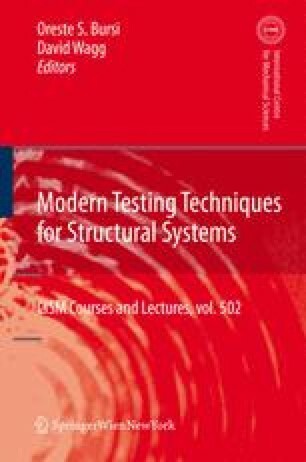 The prediction of the transient dynamic response of monolithic structural systems, as well as of heterogeneous (numerical/ physical) subsystems, decomposed by computational or physical considerations typical of hardware-in-the-loop and pseudo-dynamic tests using numerical integration, has become an accepted practice almost to the extent that such solutions in non-linear problems often are considered to be exact solutions. It is for this reason that this chapter is placed immediately at the beginning of the book. In light of the large body of literature on computational methods developed for both testing and control techniques applied to linear and non-linear systems, no attempt is made to cover this subject in greater depth. Rather the concepts upon which ad hoc computational methods rely are presented in a common framework along with a few applications.